al-Bassa - البصة May 14, 1948 19 km north Acre 1 3,422 21,015 25,258 4,178 A military airport, Kefar Ro'sh ha-Niqra, Leman, Shelomi, Matzuva, Betset, & Khanita. al-Birwa - البروه June 11, 1948 10 km east Acre 23 1,694 10,401 12,939 546 Kibbutz Yas'ur and Achihud. Jiddin, Khirbat - خربة جدّين July 1, 1948 16 km northeast Acre 16 1,740 10,685 4,238 3,349 Yechi'am, Qiryat, and Ga'ton. al-Kabri - الكابري May 21, 1948 12 km northeast Acre 11 6,218 38,183 37,308 0 Kibbutz Kabri, Ga'ton, Me'ona, 'En Ya'aqov, and Ma'alot. 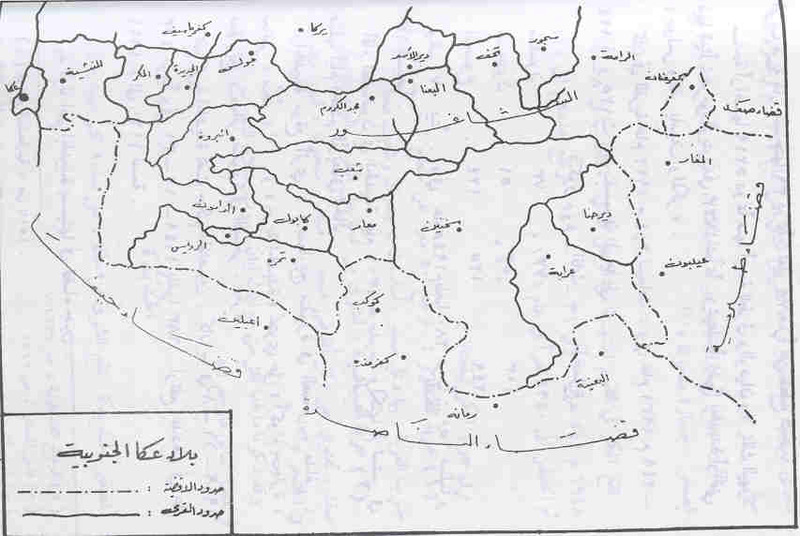 Kabul - كابول July 15, 1948 14 km southeast Acre Map 10,336 0 No settlements were built on village lands, however, most of the sarounding village's lands confiscated by the Israeli government for forestry purposes. al-Mansura - المنصوره November 1, 1948 29 km northeast Acre 7 26,619 0 Netu'a, Elqosh, Biranit, Mattat, and Abbirim. Mi'ar - ميعار July 15, 1948 17 km southeast Acre 25 893 5,485 10,785 0 Segev, Ya'ad, and Manof. al-Nabi Rubin - النبي روبين November 1, 1948 28 km northeast Acre 5 12,548 0 Shomera, Even Menachem, Kefar Rosenwald, and Shetula. al-Nahr - النهر May 21, 1948 14 km northeast Acre 14 708 4,345 5,243 0 Ben 'Ammi and Kabri. 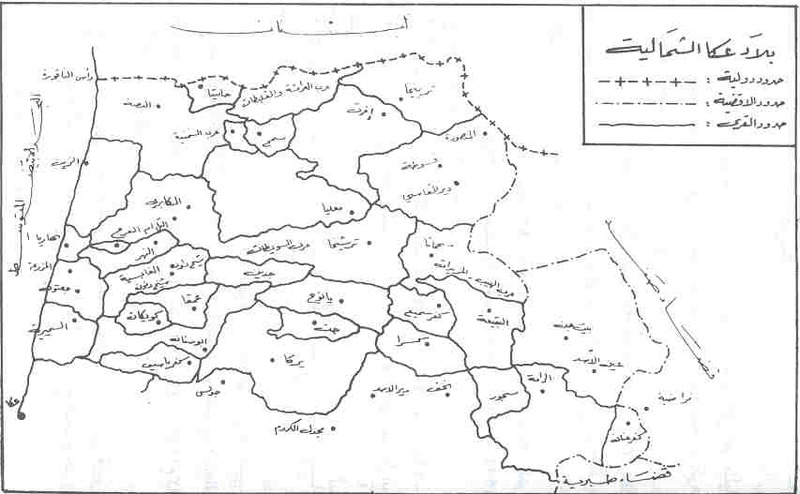 Sha'ab - شعب July 18, 1948 26 km southeast Acre Map 17,870 0 Yavor, founded in 1951 and located just east of the village. Tarbikha - تربيخا November 1, 1948 27 km northeast Acre 4 1,160 7,124 12,548 0 Shomera, Even Menachem, Shetula, and Kefar Rosenwald. Tarshiha - ترشيحا November 1, 1948 27 km northeast Acre Map 37,308 90 Meona, which was founded in 1949.
al-Zeeb - الزيب May 14, 1948 13 km north Acre 9 2,216 13,606 12,438 0 Kibbutz Gesher ha-Ziv, Sa'ar, and Leman.